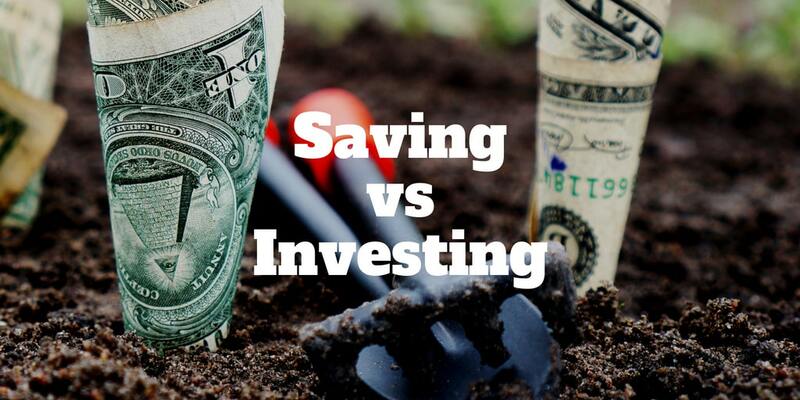 Home › Investing › Saving vs Investing Money: How Do You Decide? Saving vs Investing Money: How Do You Decide? If you have built up a nest-egg, you might be deciding whether saving vs investing is better for your future wealth. At first glance, it may not seem like there is a big difference between squirreling away money as part of a savings plan compared to investing in the stock market, real estate, or some other asset class. But over time, a stark difference emerges in how much wealth you can accumulate, especially when interest rates are low. What makes the biggest difference to how much money you can have in the future has been described by Albert Einstein as the most powerful force in the Universe and by Warren Buffett as the least understood concept by most stock market traders. What is it? Let’s take a look as we compare investing vs saving. When Is It Better To Save Than To Invest? When Is It Better To Invest Than To Save? Where Should You Invest Your Money? Should You Buy Gold, Art Or Cryptocurrencies? To really understand the difference between saving and investing, we need to take a trip back in time to the 1980s when interest rates were high. For simplicity, let’s pretend you could deposit your money in a bank savings account and earn an interest rate of 15% per year – which is close to the Federal Funds rate in 1980. Or you could have invested your money in the stock market and bet on higher share prices over the coming years. Should you have saved your money or invested it? To help guide the decision, we can look back at history and figure out, on average, how much the stock market increases per year. With average annual stock market returns of approximately 8% historically, the smarter choice would have been to lock in the savings rate of 15%. We’ll see why in a few moments. The problem with a bank savings account is, when interest rates decline, the amount you earn on your savings declines too. So, when interest rates are paying yields greater than the average annual stock market return, you should consider locking in the high yield by purchasing long term government bonds. When interest rates are already high and you don’t think they’ll go much higher, parking your money in a 30-year government bond is a pretty smart bet. Just imagine the astute investor who chose to put money into a 30-year bond in the 1980s would still have been earning that 15%+ yield per year in 2010 when interest rates were near zero! And by locking in a fixed yield they would have avoided the rollercoaster ride of the tech bubble of 2000 and subsequent stock market crash as well as the real estate bubble in 2007 and the Great Recession that followed. The bottom line is when interest rates are very high, the best yield on your money for the risk you assume is likely to be earned by parking your money in a bank savings deposit account. Or consider a long-term government bond if you are willing to take a bit more risk and want to lock in a high rate of return. Now let’s switch gears and imagine a time when interest rates are low when compared to the 1980s. When interest rates on savings accounts pay say 3% or less, you need to park your money for 5 years or more to earn the same rate of return as a saver a few decades earlier when interest rates were at 15%. The numbers are even worse if you save your money in a checking account and earn peanuts. In the recent past when interest rates were just 0.25%, you would have had to wait 60 years to earn the same rate of return as the 1980s saver did in one year! And the likelihood is any gains would be offset by inflation, which erodes your purchasing power over time. While inflation doesn’t rear its ugly head from one day to the next or even one year to the next, its effect is significant over the long term. Just look back to your childhood and think about how much a can of soda or a chocolate bar cost back then versus now. The price increases over time for the same amount of product reflects the power of inflation taking effect. And while on any given year it’s hardly noticeable if a can of soda goes up by a penny or two, you can’t help but notice after a couple of decades when prices are 50-100% higher that your money doesn’t go as far as it did in the past. So, if inflation continues to eat away at your purchasing power and savings accounts don’t pay more than peanuts, what are you supposed to do in a low interest rate environment? All you need to do is compare the historical returns of the stock market again to the current savings rate to see the value of investing vs saving. If the average annual stock market return is 8% and the savings rate is 3% then it makes sense to invest. Just as you make that calculation so too do many others. In fact, so many other astute individuals make the same comparison that a herd instinct kicks in and ever more money flows into the stock market. As share prices continue to rise, still more people invest, which in turn pushes the stock market even higher. Eventually, share prices rise so high that the Federal Reserve takes action to put the brakes on the economic juggernaut by hiking rates. As interest rates rise, the cost of borrowing increases so businesses are less inclined to take on new loans to invest. That means fewer projects get off the ground and fewer people are employed and eventually the economy cools down. So you can think about saving vs investing much like a pendulum swinging back and forth. When interest rates are low, investments increase, share prices rise, and the economy powers ahead at full speed. And when it overheats, the Federal Reserve hikes rates causing the economy to slow to the point where eventually it becomes more attractive to save than to invest. While it’s fairly obvious what to do with your money when interest rates are high – deposit them in a savings account or buy long-term government bonds – it’s not so clear where your money should be allocated during low interest rate environments. Should you invest in the stock market, real estate, art, gold, or even cryptocurrencies? Before picking an asset class, you first need to really understand what the term ‘investing’ means. You can buy Coca Cola in your brokerage account as easily as you can buy gold but according to Buffett, only one of those purchases is an investment while the other is a speculative bet. The easy way to know the difference is to create two buckets. One bucket is for investing and the other is for speculation. Anything that pays you a dividend is defined as an investment while anything that makes you money only when prices rise is speculative. Not everyone agrees with Buffett’s definition of investing vs speculation. Some of the richest investors in the world buy gold and art, and other assets that only make money when they rise in price. And so they would probably disagree with Buffett. But the “Oracle from Omaha” is more successful than most when it comes to earning a return on invested capital so we’ll stick with his investing perspective for now. Plus, it’s backed up by some quantitative evidence from Jeremy Siegel of the Wharton School of the University of Pennsylvania. In his book, Stocks For the Long Run, Siegel calculated that over 95% of total stock market returns last century came from reinvested dividends, not price gains. Sure, you can buy a piece of art or gold or even cryptocurrencies and hope they will rise in price but know that your bets are speculative because someone must buy those assets from you at higher prices in order for you to profit. By contrast, an investment in Coca Cola will pay you a steady stream of dividends long into the future even if the share price doesn’t rise a penny. Assuming you want to invest your money not speculate with it, the process of eliminating asset classes that we followed leaves stock market investing and real estate investing as two primary investing avenues. Gold, art, cryptocurrencies and other assets that don’t pay regular dividends are all lumped into the speculative category for simplicity. Now when you compare the stock market vs real estate market, you have a difficult choice to make. Depending on what time frame you select to compare the two asset classes, you will find one performs better than the other. In the past, people compared total stock market returns to real estate price increases nationally and concluded the stock market was the better investment. But real estate returns vary by location. And not all studies factor in total real estate returns including cash flow from tenant income and tax breaks. For investors who don’t want to get into the nitty gritty of real estate, the stock market used to be the best answer. But these days, investors have many more choices to invest in real-estate without getting their hands dirty. No longer do you need to find a property and tenants, apply for a bank loan, and manage leaky sinks and toilets. Instead you can choose from a wide variety of online real estate companies that make it easy to gain exposure to the asset class with a few clicks on your computer. For investors who want exposure to commercial real estate, triple-net lease properties, and renowned business tenants, Rich Uncles is a compelling choice. The online experience is as good as any crowdfunding real estate company that we have reviewed. And within a few minutes you can diversify into real estate without having had to do any of the legwork. For investors who prefer to own residential property but don’t want the hassle of managing it, Roofstock is a good bet. You can literally buy a home the same way you would buy goods on Amazon. Roofstock has simplified the process of investing in real estate by sourcing properties that are usually already rented, so a cash flow stream pays you from day one. And you get connected by Roofstock to local property managers who take care of the nuts and bolts of day-to-day issues. Another popular marketplace to invest in property online is also one of the best real estate crowdfunding sites: Fundrise. At Fundrise, you can invest in an eREIT, which is much like a regular real estate investment trust. But unlike a regular REIT traded in the stock market, Fundrise provides you a portal where you can log in 24/7 to view your property portfolio, track performance, and get a better view of where your money is invested. The rule of thumb when comparing the benefits of saving vs investing is to park your money in a bank savings account or long-term government bond when interest rates are high, like during the 1980s. During low interest rate environments, investing is usually the better bet and you can choose between stock market investing or real estate investing. 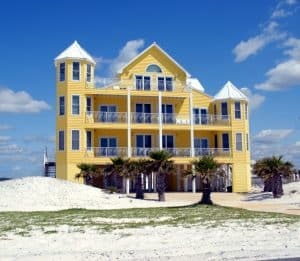 Whereas in the past it was easier to gain exposure to the stock market, companies like Roofstock, Rich Uncles, and Fundrise have leveled the playing field, making it easy to gain exposure to real estate. Of course, this rule of thumb is just a rule of thumb. When it comes to earning the greatest return on your money, the goalposts are constantly shifting based on the political winds of change, economic stability, international trade and global money flows among other factors. What remains constant is the force that Albert Einstein called the most powerful in the world: compounding. On any given year the returns you earn may not seem earth-shattering but, over time, compounded gains can produce eye-watering returns. If you’re not yet aware of the power of compounding this anecdote may clear the fog. Imagine a pond of water that is partially covered by a plant that doubles in size every day as the sun shines on it. On day 1, the plant covers some small portion of the pond and on day two it covers twice that amount. Every day the plant doubles in size and, by day 32, the pond is fully covered by the plant. The question for you is what percentage of the pond is covered on day 31? If you are like most people, you may assume that if the pond is fully covered by day 32 then on day 31 it must be almost entirely covered. After all, there is only one more day to go. But remember each day the plant doubles in size, so by day 31, only half the pond is covered. By increasing its size at the same rate, the plant covers the same amount of the pond on the last day as it did in the first 31 days combined. Similarly, when you invest money in year 1 or 2 or even 3, you may not experience startling returns. But hang on 2 or 3 decades and the power of compounding is likely to produce returns in a single year that rival or even dwarf the returns earned during the first few years. Of course, we’re taking some penmanship liberties here assuming a rising stock market. 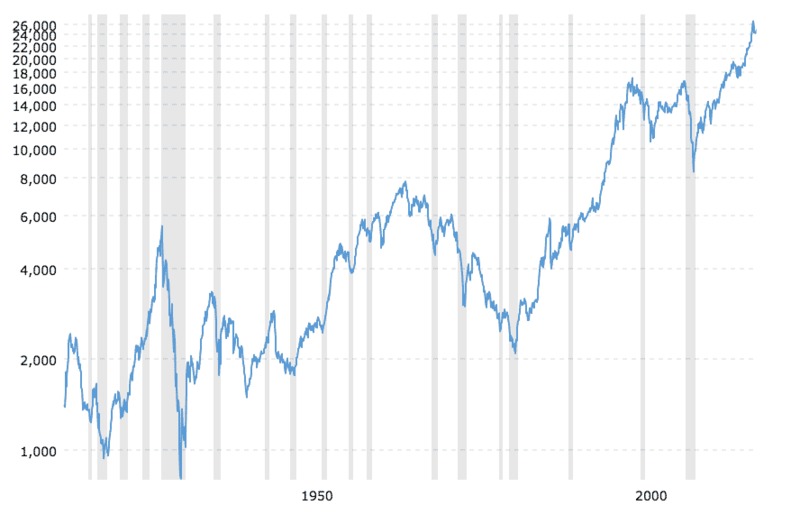 In practice, the stock market rises some years and falls on others. Regardless, compounding has a greater effect far out in time than near term. If you are not convinced, think back to the plant. Between day 1 and day 2, the plant increased in size by just a small amount, not nearly enough to cover a big portion of the pond. But between day 31 and day 32 a full 50% of the pond was covered thanks to the power of compounding. So, the effects of compounding really took hold further out in time versus near term. Do you have a better idea now of when to save vs invest your money? Let us know if you have any other rules of thumb about how to compare investing vs saving. We would love to hear from you. >> What Are The Different Types Of Stocks? >> Why Do Accredited Investors Choose Origin Investments?